We've been stuck in the house due to a massive snowstorm, so I made some cupcakes to help us get through it. 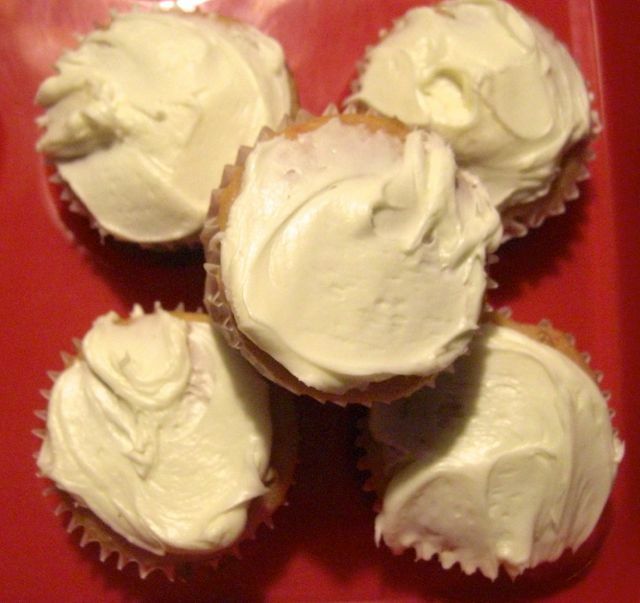 Made 24 cherry chip cupcakes with vanilla icing on Monday, and on Tuesday night we still had 18. 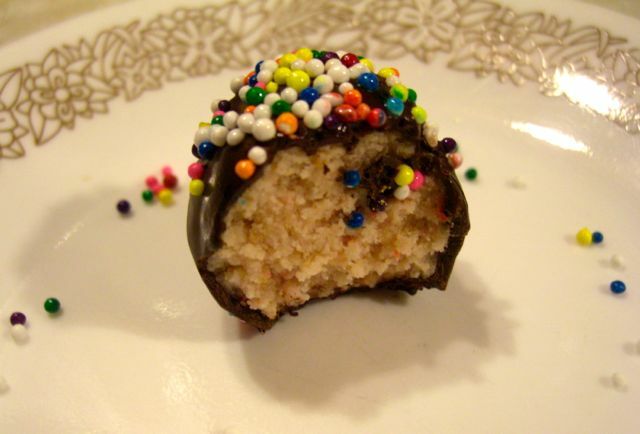 I didn't want to spend the whole week eating cupcakes, so I decided to make a few into spontaneous cake balls. 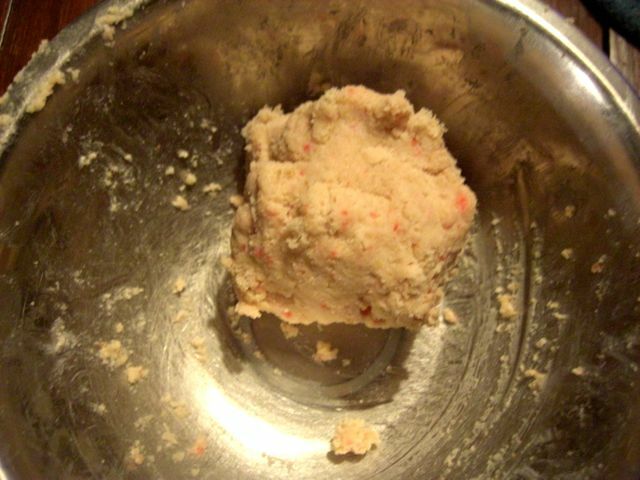 I simply crumbled up a few iced cupcakes and formed them into cake ball dough. They rolled into eight balls. 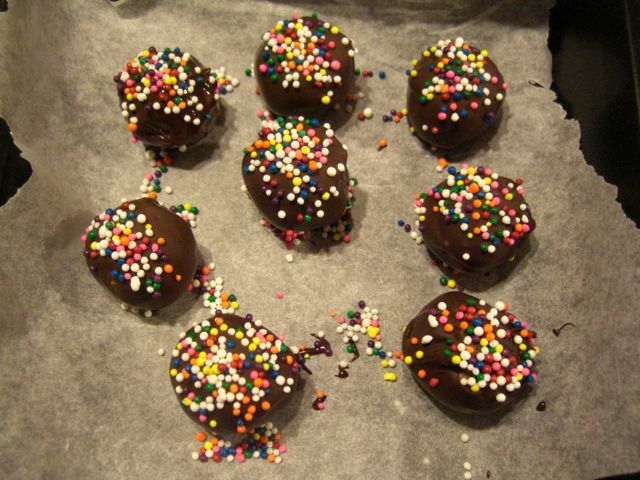 I tossed them in freezer for about half and hour. 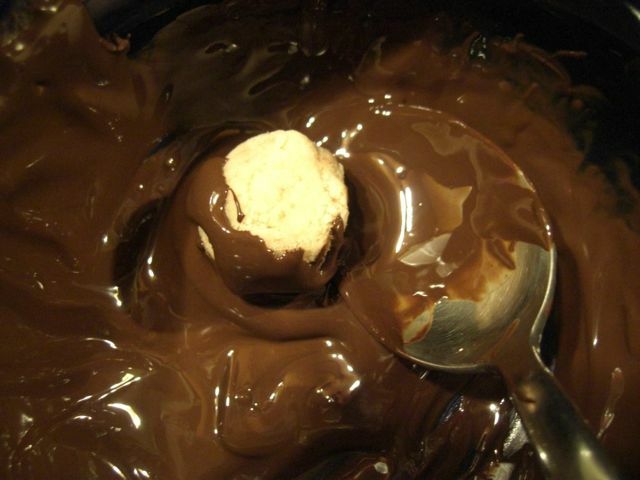 Then I melted some dark chocolate chips I had open and dipped the balls. And added some sprinkles I had kicking around. Back the freezer they went to set and then nom nom nom nom. So we're still going to spend the week eating cupcakes, but now there is a little variety in the indulgence. Nothing like a good ball. They were a hit! Happy and sad that I only made eight, but they were so easy to make. The cherry chip flavour matched with the dark chocolate was really good too. Will do that again. Good deal. You taking notes of your experiments? Sort of. I am making a personal cookbook to gather up all the notes and hand written papers I have all over various parts of the house. Will be putting these in there under "quick treats" I think. I'm writing a cookery/bake book. It's great fun. Do you enjoy taking notes and gathering things together? I do. I wasn't always though, enjoying this process of writing everything down but now I can't work without it. Love it. Tim made me formula sheets. He spoils me so. I do love writing things down too, I'm just badly organized about it at the moment. John suggested compiling it all together and gave me a bunch of page protectors for when I get everything typed up and printed out. Going to be good fun. Hey, does Gary eat crunchy treats or do cats like soft ones better? 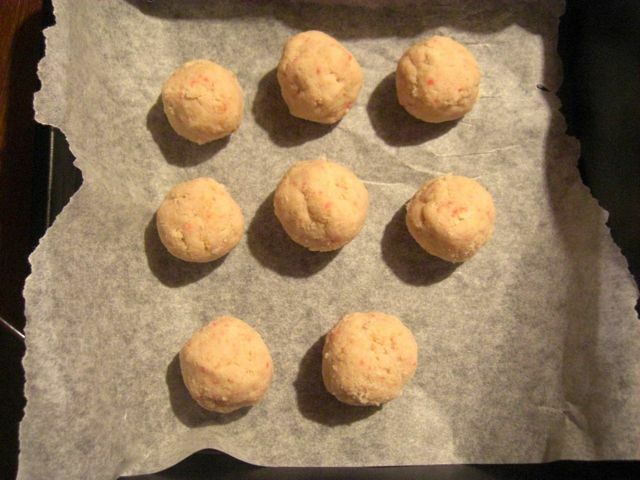 I am in the process of writing a cat treat bake, similar to how I do the dog treats. Gary eats crunchy treats most often. I never thought of home made cat treats! Let me know how it goes! Your puppy treats look great. You got it. And if my photos don't make it to the blog (more don't than do), than I will email them to you. This is so easy, no measurements or weighing. Total eyeball and touch method. About what size treats does Gary get? We normally give her the Temptations treats. They are about 1/2" square. I've seen coupons for those.